Although reading is widely recognized as a respectable hobby, the negative connotation of being a ‘bookworm’ lives on. Sure it is considered cool for adolescents to like to read popular fiction such as the Harry Potter series. It is even true that enjoying the occasional New York Times Best Seller is considered chic, and an essential part of bourgeois-pseudo-intellectual-Starbuck culture. However, when an individual’s passion for reading goes beyond superficial interest, it is not always well looked upon. One charge is that reading too much undermines physical activity and encourages laziness. If you choose to spend long hours reading on a sofa instead of playing sports or working out, you might eventually find yourself needing to shave more than just a few pounds. Moreover, there is the view that beside being a form of entertainment, fictional books are not especially useful in the real world. While some dismiss it as being recreation, others, more harshly, regard it as a waste of time. Lastly, and perhaps the most persuasive of all, is the accusation that too much reading, like playing too much computer games, isn’t good for you. If you favour literature over interacting with other human beings, pursuing life goals, and becoming involved in day-to-day life, reading can become a form of escapism from reality. Rather than motivating personal development, it will serve to impede it. Ironically, the logical extreme of these concerns is perhaps best represented in the main character of the modern classic, A Confederacy of Dunces. 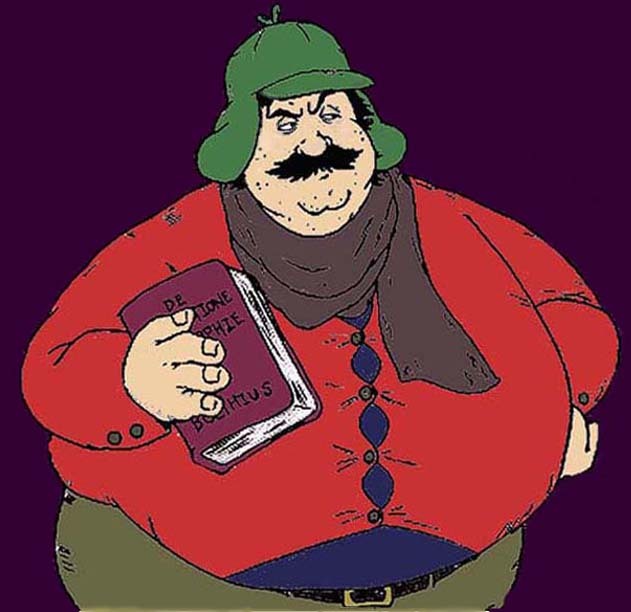 Ignatius J. Reilly, an obese penniless former graduate student, is obsessed with medieval literature to the point of harbouring a warped perception of himself and the world around him. More in touch with the writings of the Roman philosopher Boethius than his mother’s emotional and financial woes, Reilly’s bookish knowledge seems encourage his laziness, indifference, and reckless behaviour. Maybe there are justifiable grounds for believing that there is such a thing as reading too much. However, I believe that for the vast majority of book lovers, reading is not only a healthy activity, but a pursuit that furthers personal growth and social awareness. There are good reasons for taking this stance. For one thing, the view that excessive reading can lead to an unhealthy lifestyle rings hollow when one considers the amount of time people spend doing other more harmful indoor activities such as watching television. If anything, with the vast amount of up-to-date and self-help literature available, books are able to alert us about why regular consumption of fast-food and being a couch potato is so harmful to human health. In developed countries especially, books make it possible for almost anyone to gain an in-depth understanding of health issues in such a way that word-to-mouth, or even fast-pace-minute-by-minute media sources, simply can’t. How people choose to live with this easy-to-access information though is a different matter. After all, if you enjoy reading books but regularly sit or lie down for hours, chances are you probably have bigger problems than an addiction to ink on paper. The novelist-activist Alice Walker once remarked “[i]f a book doesn’t make us better, then what on earth is it for?’’ Although she eloquently pointed out that the reading experience is relevant, she overlooked the fact that there is no way to know for sure whether one tale or the next will impact you positively or not. No matter how famous or popular a particular work is, it’s impossible to know if you will relate to it until you take the time to read it. Even then, you can’t be sure that it will be relevant to your existence today, tomorrow, next year, decades later, or perhaps ever! As most dedicated readers soon realize though, when one strikes gold, a story has the power to fill them with limitless inspiration, compassion, hope, courage, and determination. Literature, regardless of genre, has the potential to profoundly influence a person to make constructive changes to their lives and way of thinking. Making reading a regular part of life then, contrary to being a useless pastime, is if anything, a very worthwhile time investment. The implications of such research findings are significant. The studies would strengthen the view that fiction and non-fiction make it possible for hundreds of millions of human beings to access as well as share complex ideas, facts, worldviews, memories, and experiences from the comfort of their libraries, homes, and portable devices. Also, they would provide empirical evidence that books indeed have a vital role to play in enabling people to become informed and socially active like never before. Perhaps then, the title of bookworm would take on a entirely new meaning. One certainly can hope anyway!